Insta-Marketing Success – Learn To Become An Instagram Success Story is a truly spectacular guide uncovering all the secret Instagram strategies that will prove useful in your stellar business marketing plan. Instagram is one of the most effective marketing tools online to help grow your business and let the world know what you’re all about. This guide shows you how to step by step tap into your niche market through the visual because this is so much more affective than words. People buy with their eyes. 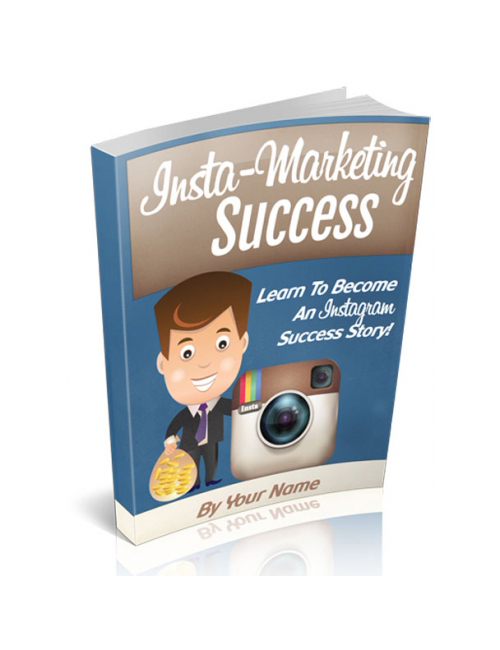 Insta-Marketing Success – Learn To Become An Instagram Success Story is your guide straight to the top! Get it today and get on it!